Corinthian Lodge is officially starting up after the long, hot Minnesota summer with our annual Dusty Square and Compass program. 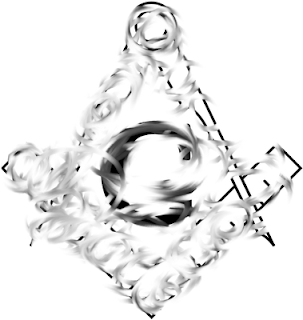 For anyone unaware of what a Dusty S&C program is, it is where a Lodge goes through the work to rub out the kinks, to inform brothers that have not been around for awhile what goes on in the Lodge and to inform the brethren what the upcoming season is going to bring. It is a really great way for a Lodge to come out of darkness to help brothers that may have been away to get back into the fold. For me personally, I desire Masonic knowledge and this really helps get me and other brothers excited for the new year. At this particular Dusty S&C program, we have planned a good program. We will be having a meal and fellowship at 6:30 pm while the program starts at 7:30 pm. We will be practicing the signs for the degrees, learning their meanings, and working on our degree work. As I have mentioned before, I have memorized the Long Lecture for the Fellow Craft degree and will be presenting a portion of it for the brethren and explain its meaning. Here is to great fellowship and Masonic learning. Great job! That's a long one to learn. ...and he has learned it well. I watched him in action last night, saying his lines without a hitch. Very impressive, Nick. I have also heard these type of events referred to as "Rust Nail". One of the great things that we learned about was how one travels to another lodge. Most brothers don't realize that Masons are allowed to travel to any Lodge that their Grand Lodge recognizes, which in the case of Minnesota, is Prince Hall and many jurisdiction all over the world. We were taught what to expect when traveling to Lodges, what a brother needs to have and what he needs to know. I noticed on your blog, Brother Vick, that you had a chance to go to England. That's cool. Did you get to visit any Lodges out there and what Masonic sites did you visit? Bro. Steve, thanks for the plugging my site. Also, I have a month to keep that all fresh in my mind. Eek!! !